Mandalay, the former royal capital of Myanmar. The city is big, busy and somehow has its charm. 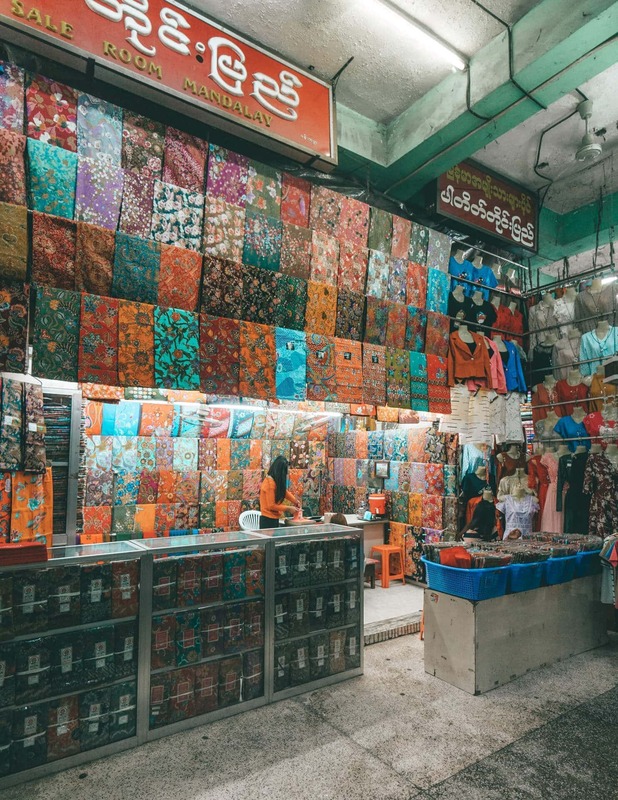 Mandalay is a great 2-day stop on your Myanmar Route. 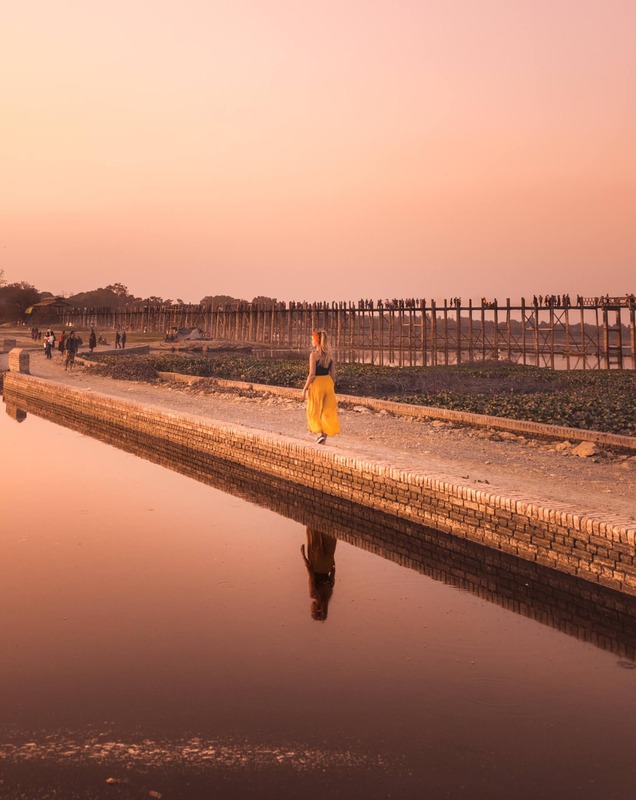 Admire its unique architecture and pagoda’s or visit the world famous U-Bein Bridge. 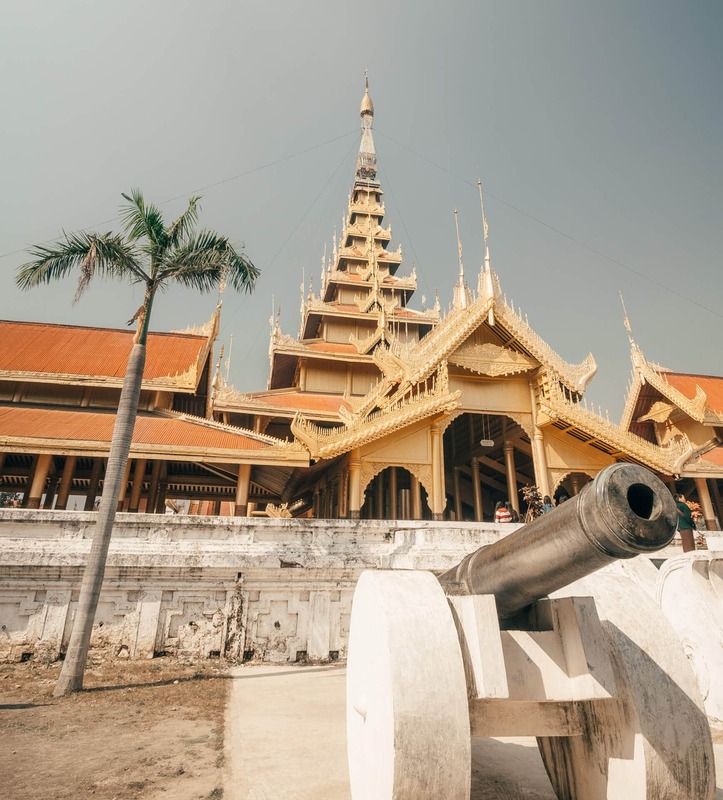 Read about the things to do in Mandalay. It can get quite cold at night so don’t forget your sweater. In Mandalay, you can notice the difference between poor and right. The outskirts of Mandalay are very poor and living between the garbage. That doesn’t take away that they are friendliest people you will meet. Don’t be surprised when Myanmese people ask you to take a photo with you. They just want to show this to their relatives. 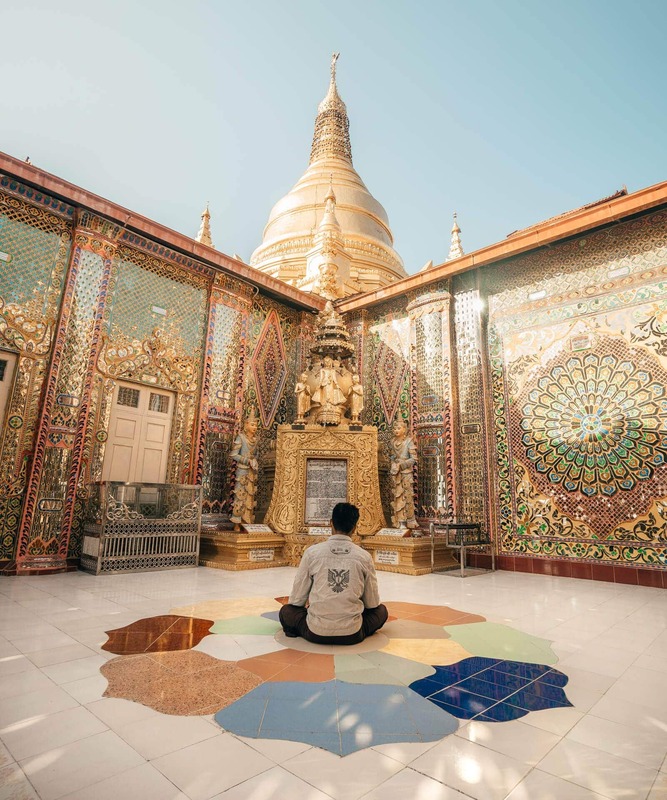 One place we wished we would have had more time to see is Mingun Pagoda. This is located across the Irrawaddy river, which is about a 90-minute drive out of town. The almost square shaped pagoda is one of a kind. It can be a bit crowded at the entrance but if you walk around it you will be the only one there. When you’re here, have lunch at the relaxed, river located ‘The Garden Cafe’. 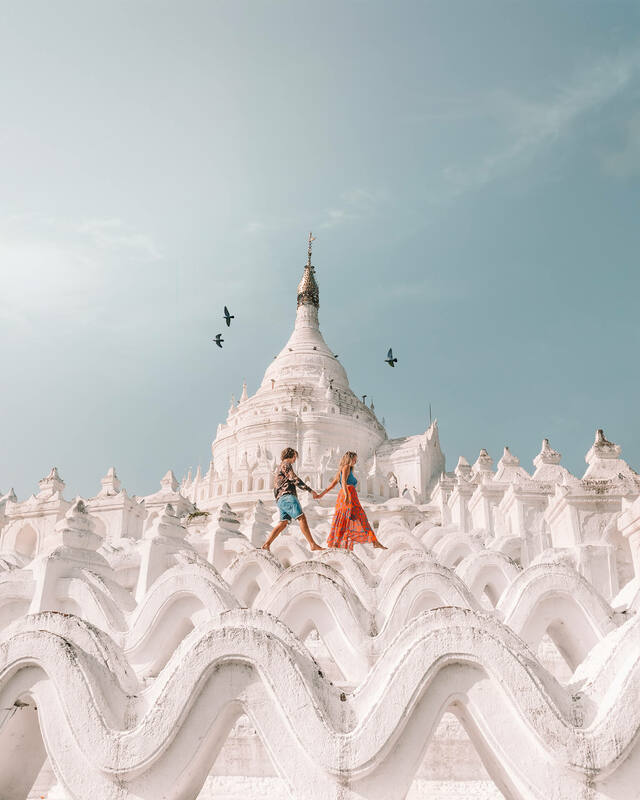 Near to the Mingun Pagoda is the beautiful white Hsinbyume Pagoda. 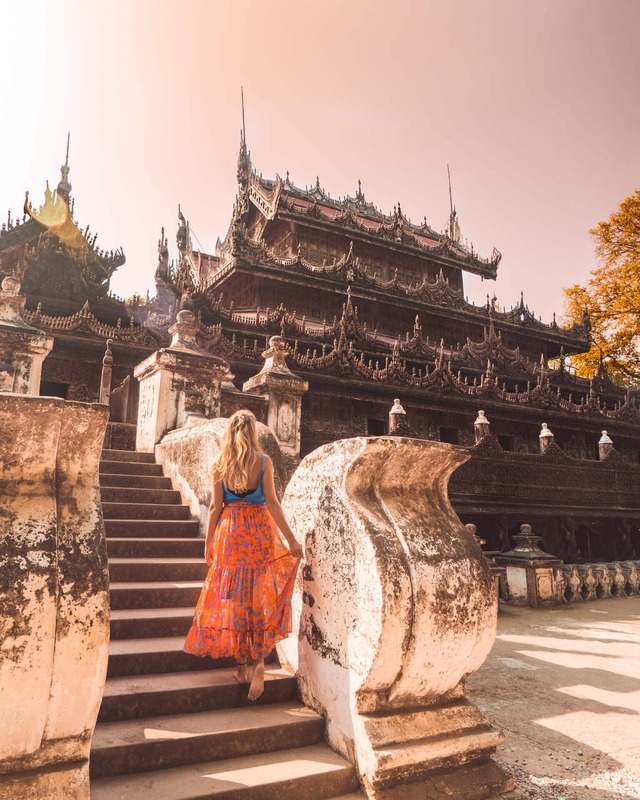 You can walk up the stairs and explore every level of the pagoda. 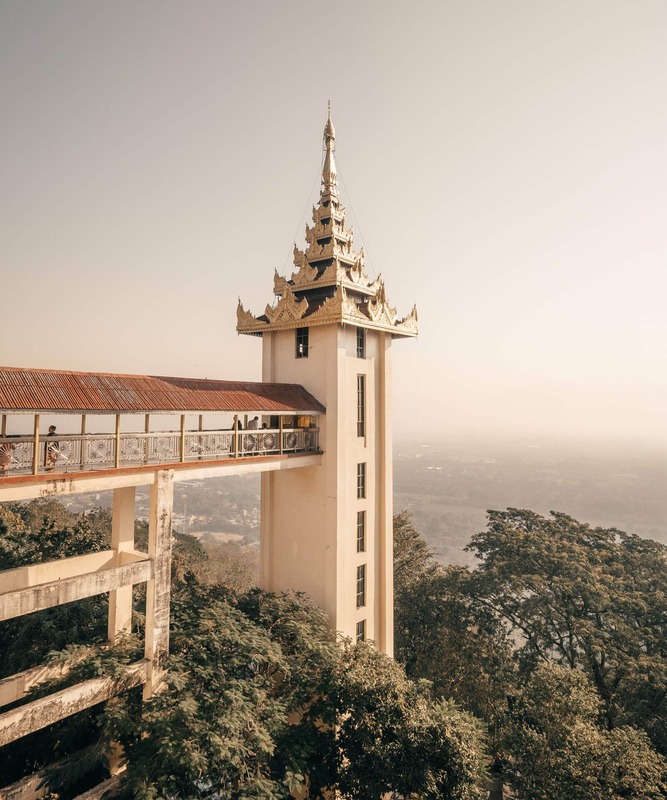 The Pagoda is not big shouldn’t be missed while visiting Mandalay. 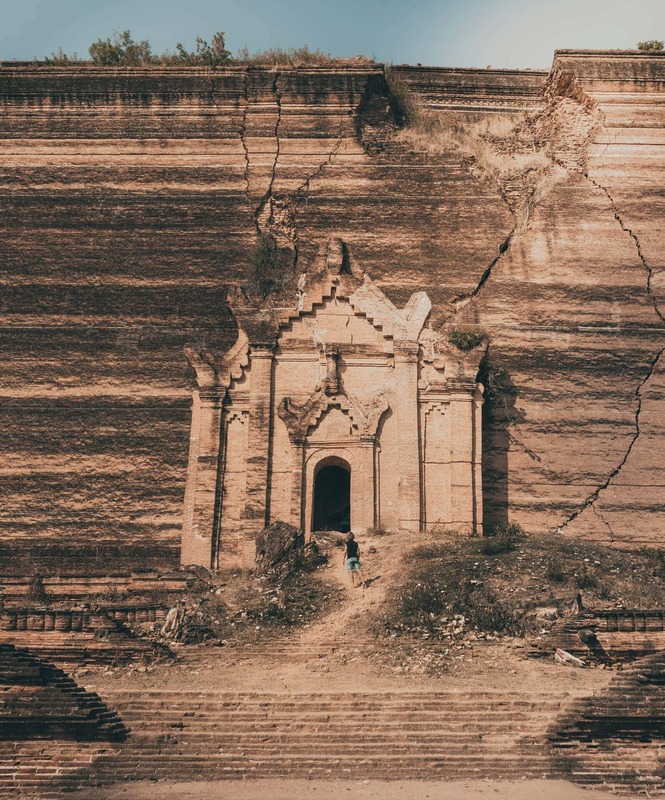 This is one of the reasons why you must visit Myanmar. One of the main attractions of Mandalay is the U-Bein Bridge. The 1200 meter long wooden footbridge is known as the longest in the world. When visiting in February there was almost no water under the bridge so doing a boat tour is definitely not recommended. From Mandalay, it is a small 20-min drive to U-Bein Bridge. Arrive two hours before sunset, see how the locals are relaxing here. 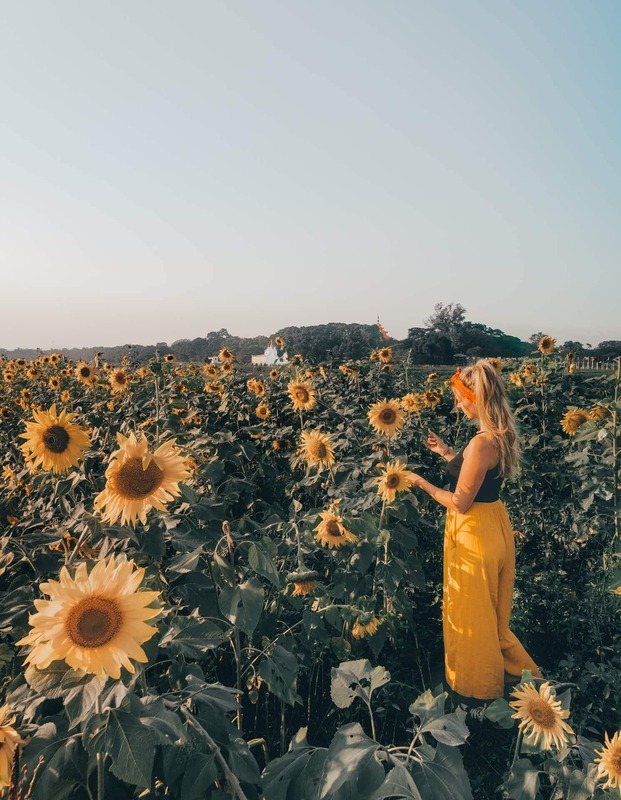 Tip: Most of the year there’s a big sunflower field next to the bridge where locals are taking photos. The size of this area is impressive. 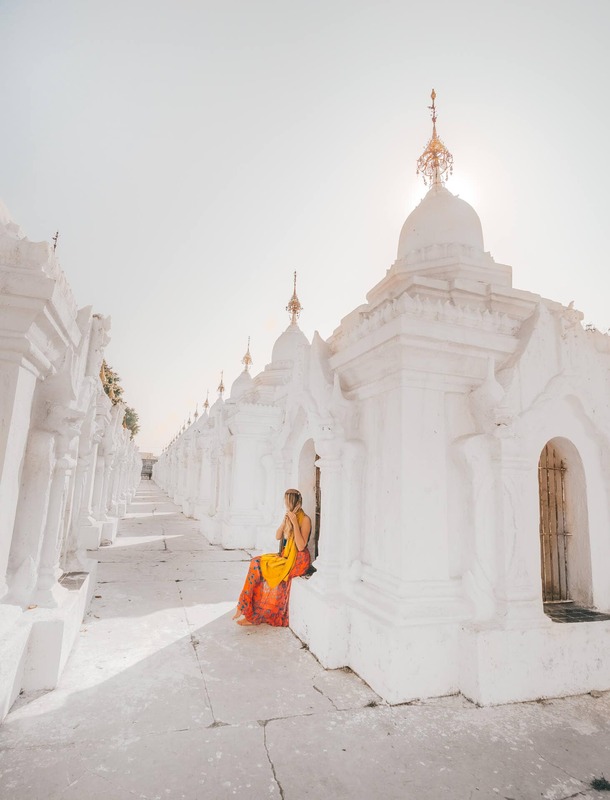 The Kuthodaw Pagoda holds world’s largest book and is surrounded by an insane amount of small white pagodas. Take at least 1 hour looking around in this area. 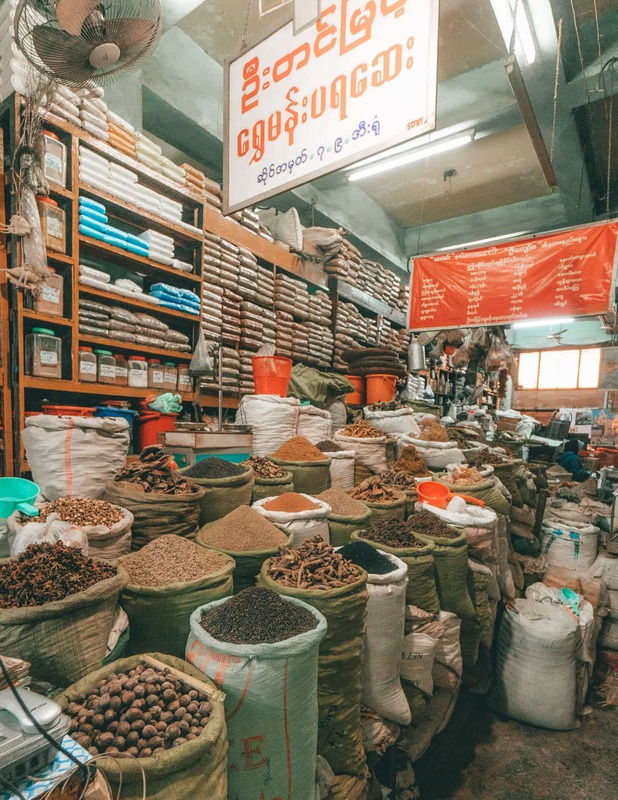 This huge, partly covered, market open from 6 AM until 5 PM and offers anything from fresh fruits, fresh spices to kitchen tools. Go here in the early morning, wander around and see how these locals spend their morning. 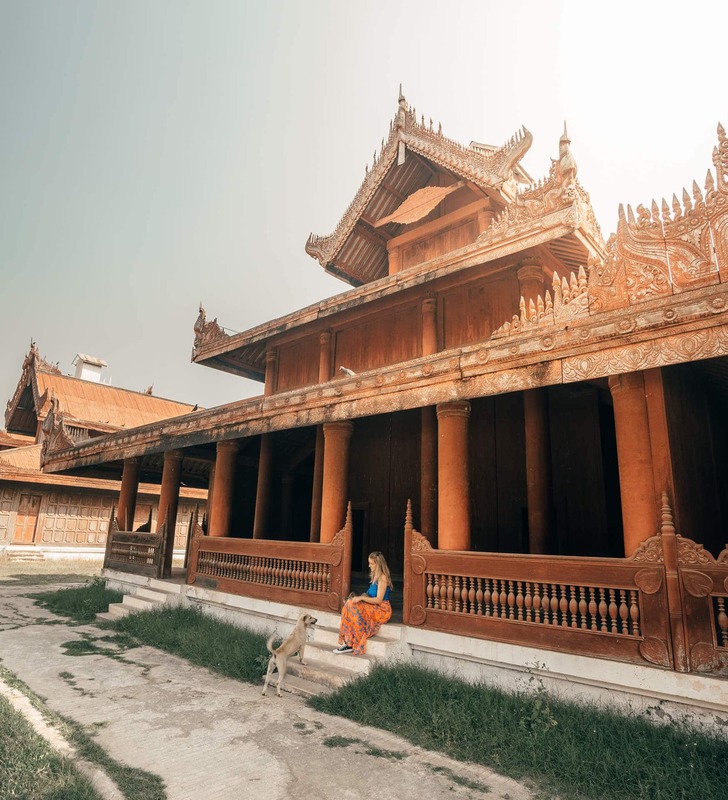 Mandalay Palace is a huge fortress located near the Hill. It’s a cool area to walk around for some time but there isn’t really much to do or see. The entrance is 10000 Kyat ($7.5). This is a combo ticket that also gives you entry to the Shwenandaw Monastery, Kuthodaw Pagoda and a few more. The beautiful wooden details in the monastery are worth a visit. It small so you don’t need a lot of time and it’s a quick stop from Mandalay Palace. 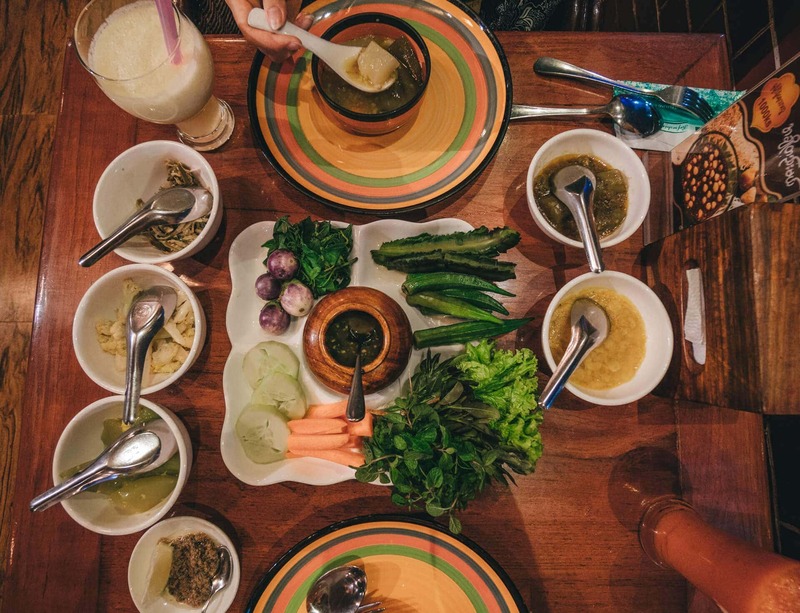 Close your trip by having a Mandalay style food experience. A dinner at Mingalarbar is highly recommended to try some of their best dishes. Our tour around Mandalay was arranged by the guys of Golden Express Tours. Mandalay offers hotels for every kind of budget. 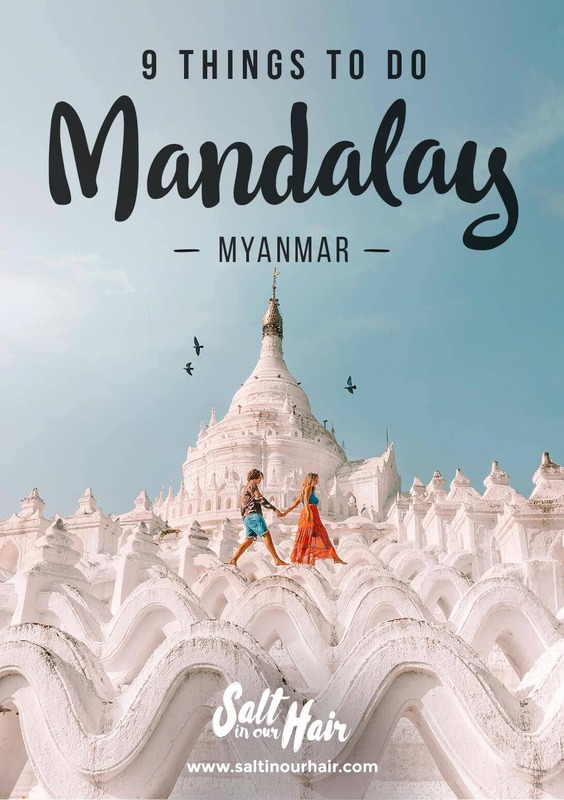 See all hotels to stay in Mandalay. Great hotel with rooftop pool. Starting at $28 per night. Best hostel in the area. Starting at $10 a night!